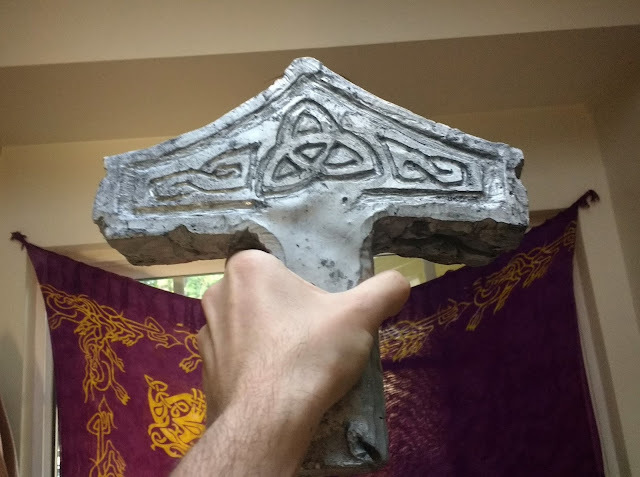 I made a replica of Mjolnir according to the classic descriptions (as opposed to the well known comic book version). 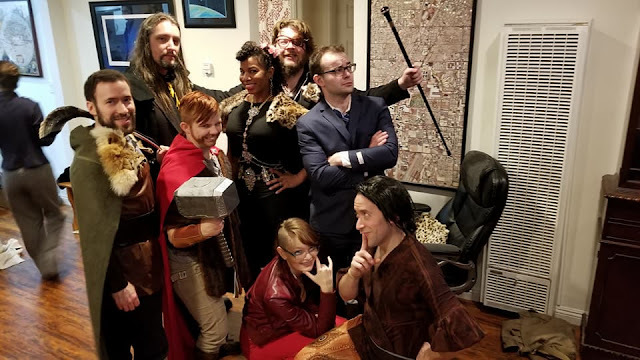 Unfortunately, Tony and I were both concerned that it might be too brittle for casual use during a party, so he used an alternative, but I was generally happy with the look and it has a great heft. I'm definitely going to use plaster like this again in the future. Work In June, our department encouraged participants to pitch an idea in 5 minutes that could be funded with $3,000. I suggested that we buy a 3D printer and won. This meant that I got to buy a 3D printer for our department and establish guidelines for its use. It also kicked off my boss' long-held interest in 3D bioprinting. Regular 3D printing binds plastic into complex shapes in order to make 3D objects out of plastic. 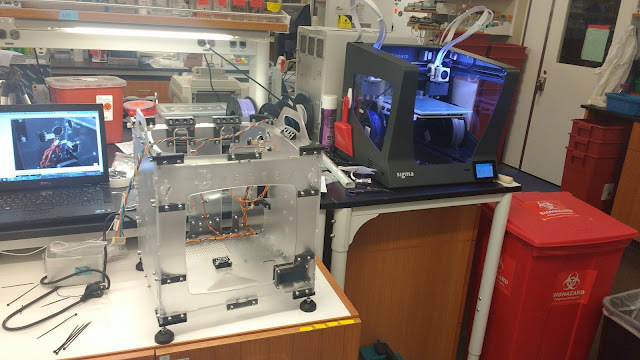 Bioprinting is a very experimental process in which cells are arranged in 3D instead of bits of plastic in order to create 3D objects made of of cells. So we bought a kit and now I'm building a 3D bioprinter in addition to the regular 3D printer that I'm having a lot of fun with. Another small project. I made a book display stand for my stepfather. Tomorrow is my 31st birthday, and I'm blessed with incredible health. Which makes this a fitting time to make a statement that I feel needs to be said about my mortality. I believe that it is most likely that when I die, it will be due to cancer. And furthermore, I don't consider this a bad thing. 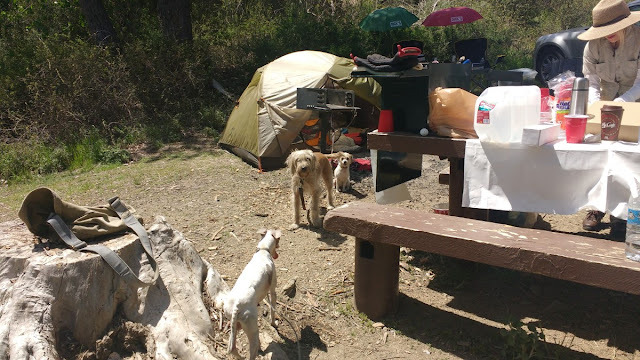 Three weeks ago, Julie and I went camping. Twice each year, our friend Ann organizes a game in the forest called the Fox Hunt. It's a bit like hide-and-seek. Foxes are given a twenty minute head start to go hide in the woods, after which the hunters pursue them. The foxes attempt to make it back to the base they left from without being tagged, however their trails are marked with surveying flags. If you purchase anything, please mark it in the sheet as purchased to avoid redundant purchases. Sadly, as Glenn Greenwald points out, "...nothing unites people behind the leader more quickly, reflexively or reliably than war." Unfortunately, most Republicans as well as many Democrats -- including Senate minority leader Chuck Schumer and House minority leader Nanci Pelosi -- have stated their support of Trump starting a war with a country allied with another nuclear superpower. According to FiveThirtyEight.com's Perry Bacon, "Most Senators Support Trump's Syria Airstrike". He provides a list, stating that only six senators have come out vocally against Trump's strike. His list is very incomplete, but it's a good place to start. Here are the leaders who actually learned something from our disastrous wars in Iraq and Afghanistan. Please lend your support to these individuals and message me we with any I'm missing at andrew@shrad.org. For a few weeks I've been working on the general plan for the ROV, and demoing various strategies for collecting video and temperature data, and sending signals to it from a computer. Recently, I though, I moved on to working on the thrusters. These are ducted propellers which propel the ROV through the water. This kind of design is pretty complicated. The shape of a propeller isn't easy to calculate or just guess, and propellers aren't easy to build either. Fortunately, there has been a lot of open-source development on other projects, which will likely be the topic of my next ROV update.